This post was sponsored by Fossil but all ideas and opinions are my own. When it comes to fall, we’re a little behind here in Los Angeles and seem to have a never ending summer season. 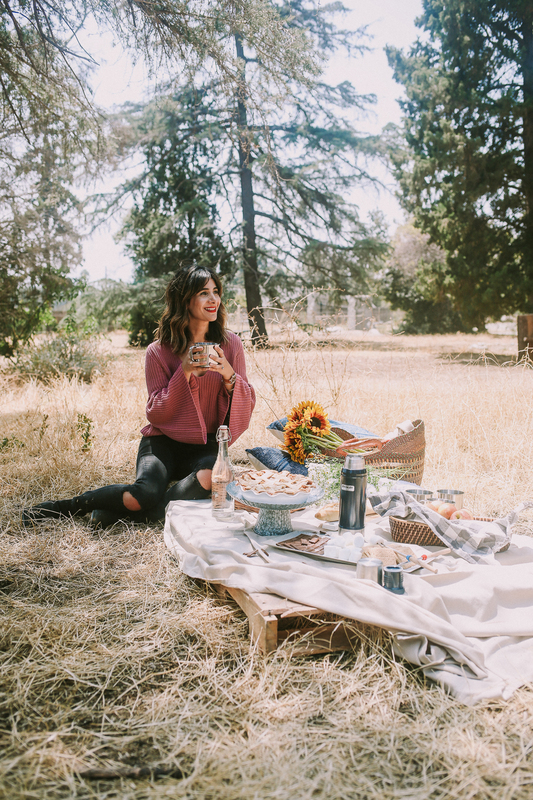 That doesn’t stop me from enjoying my favorite fall firsts which include: apple pie, picnics, and a drive up PCH to soak in that brisk air. Ever since Alan and I started dating, we loved having picnics throughout the year in beautiful spots around Los Angeles. We still plan our picnics and bring Harlee along to experience this tradition. 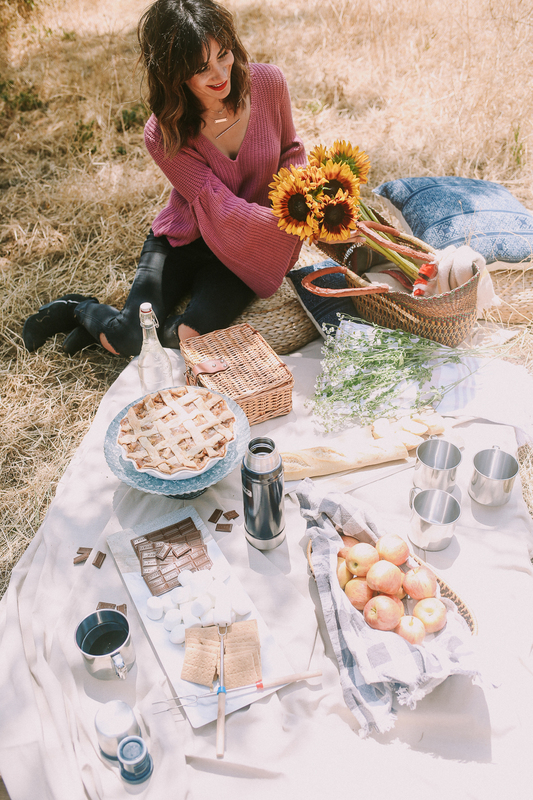 Every fall, we pack a picnic with our fall favorites and enjoy that chill in the air at a local park in Pasadena. In my opinion, it’s not officially fall until my sister bakes her first apple pie of the season. 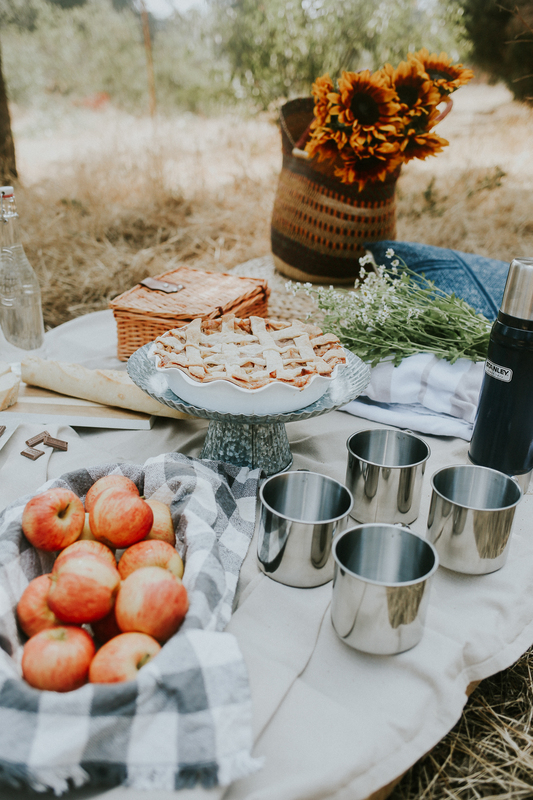 I love a slice first thing in the morning with a cup of coffee, and it’s one of the things we bring along for our picnic! 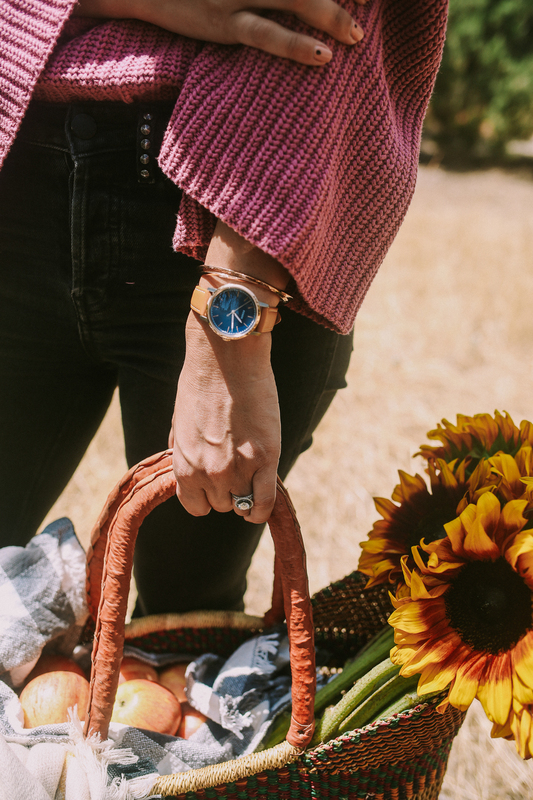 Check out the Fossil blog for some more of my favorites for Fall. My love for Fossil started at a young age when my Mom bought me the limited edition Barbie watch for back to school which came in the cutest pink hatbox! It was my first watch and it marked the beginning of an exciting year for me. I still love the classic style of their watches and the leathers all have that vintage vibe. 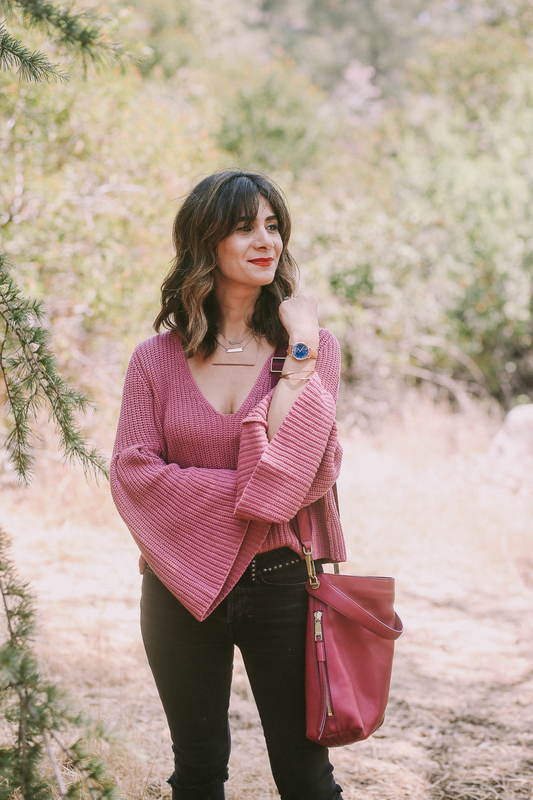 The Fossil Neely watch is a current favorite and it goes so well with my personal style. I love the simple design and the neutral luggage leather strap and it’s great for different outfits and occasions. 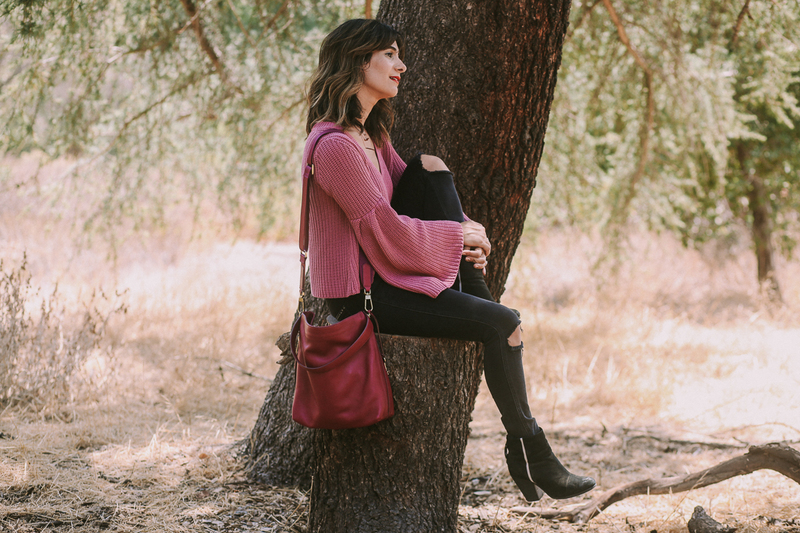 I also love the Maya hobo bag because it’s an easy grab and go bag that can take me from a fall picnic to flea market with little effort. It holds all of my essentials, plus the Raspberry color is the perfect fall color. Just like my Fossil Barbie watch from decades ago, these pieces help me celebrate new moments with my family. 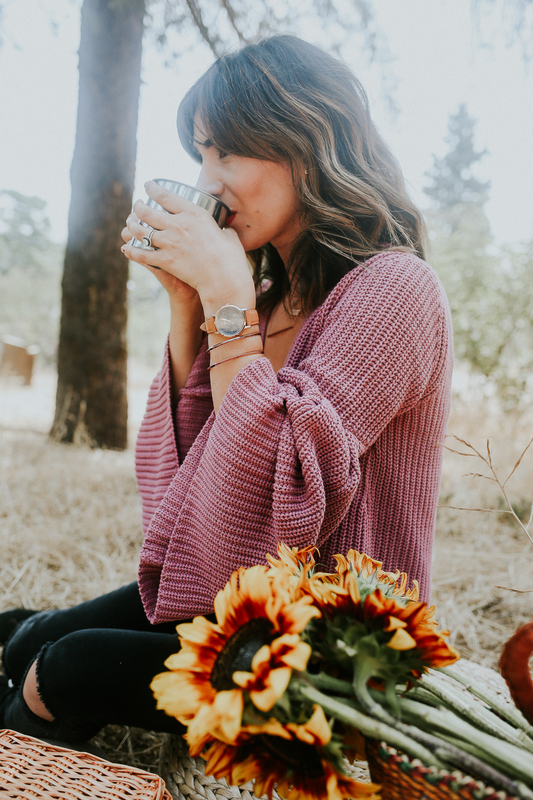 I’d love to know, what are your favorite firsts for fall? Love the color of that bag! I actually just picked up the same watch from Fossil — love how versatile it is! 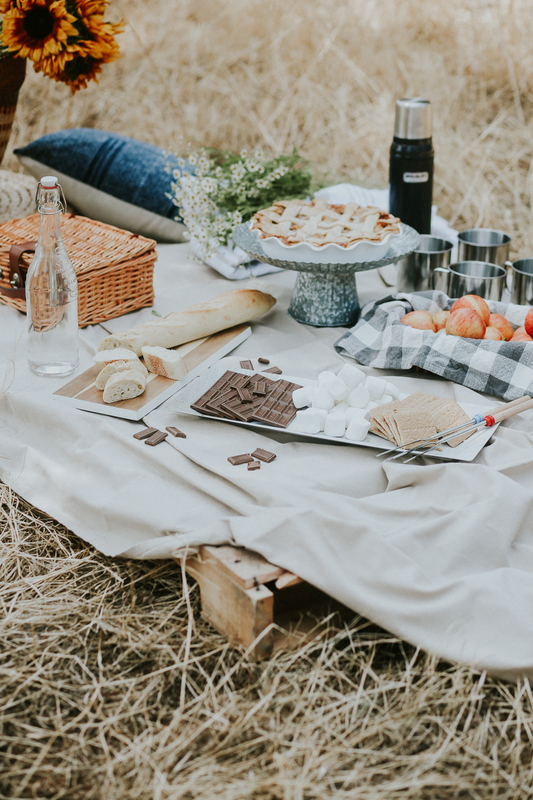 What a cute picnic set up! I haven’t done that in so long! I love that watch the face color is gorgeous. 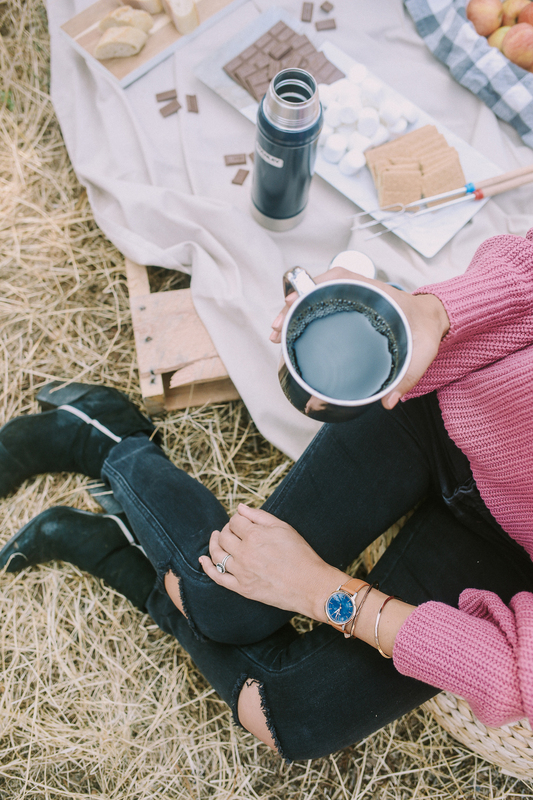 This is the perfect fall picnic and that watch is gorgeous! 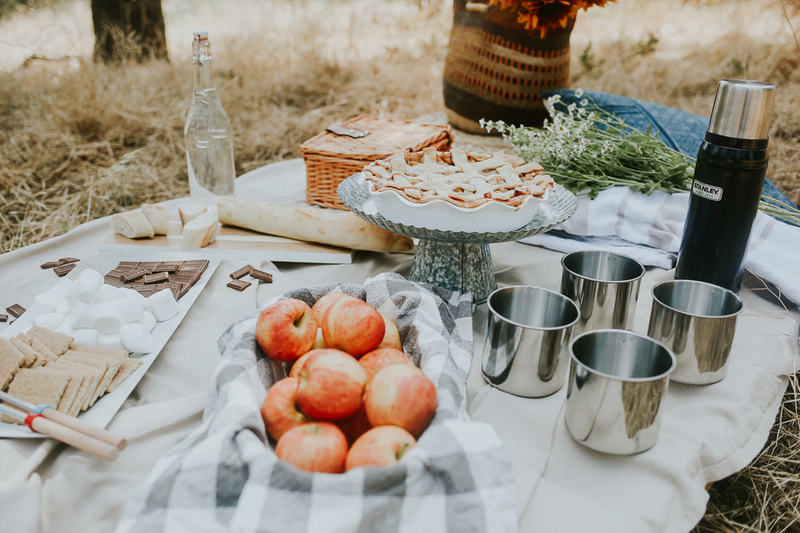 Such a cute picnic! I love your bell sleeve top with that watch. So cute! what a beautiful spread!! I love Fossil watches!! Fossil is seriously one of my favorites. I love them! Their bags and watches are so great. The pictures are stunning, great post!! Love the monotone combination of the bag and sweater .. that color is gorgeous! !